About Southpoint Industrial Supply Inc.
Southpoint Industrial Supply was established as a Canadian Corporation in April 1997. James Dueckman along with Ron Bartel, President of Bartel Machine together decided to open a bearing and power transmission distributorship to service the local area. The emerging greenhouse/agricultural industry became a large growth market that allowed S.I.S. 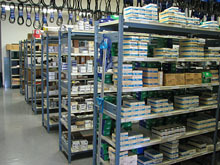 to become involved in sorting and packing equipment and supplying parts and components to service this industry. S.I.S. experienced significant growth which allowed them to expand into developing and manufacturing the Cyclone Label Applicator. These specialized labelers, used to apply various sizes of PSA labels on a variety of products and mediums, have been used across North America. In 2003, James Dueckman purchased the shares held by Bartel Machine and became sole owner. 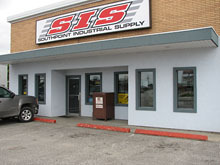 The growth of S.I.S. is a result of dedicated employees who understand customer needs and deliver solutions.